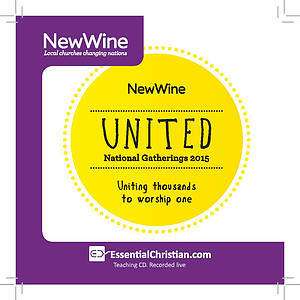 Evening Celebration - Fri is a Christy Wimber talk recorded at New Wine - 2015 on Celebration available as CD format. In these sessions the New Wine team help us give space to wait on the Holy Spirit, be ministered to as we pray for one another and be inspired and challenged by the team of speakers as they open up the Word of God each day. Be the first to review Evening Celebration - Fri a talk by Christy Wimber! Got a question? No problem! Just click here to ask us about Evening Celebration - Fri a talk by Christy Wimber.